Logging into the LMS constitutes your acceptance of the iFTI User Agreement - Click here to read. FTIInternational@iupat.org will be offline on April 19. All emails will be processed in the order received on April 22. If you have any issues/errors/questions, click the HELP area or complete the LMS Contact Form. Have great ideas? Submit them to our Online Suggestion Box. The iFTI LMS website is an online learning portal and a secure web-based software program for the administration, documentation, tracking, and reporting of training programs, classroom and online events, e-learning programs, and training content. 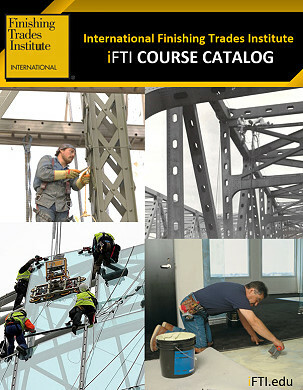 The iFTI LMS is an accessible way of providing apprenticeship training course materials to IUPAT members. More info? Play the short iFTI LMS Animation and iFTI LMS Orientation videos. Do you have troubles reading? You are not alone. Millions of people also struggle mostly because their brains need to be taught differently. The iFTI have partnered with MindPlay Virtual Reading Coach® (MVRC) to assist you in overcoming reading struggles in the privacy of your own home. If you have log in information, click here. Our School/District Council is 12571. Are you an instructor/coordinator and interested in attending training at iFTI (Hanover, MD)? Your Director of Training (DOT) needs to email FTIInternational@iupat.org and provide the course name along with your full name, preferred training date, member id, and email address. For quick processing, the email subject should be Course Registration. Open course enrollment will close due to high registrations or within 3-4 weeks prior to the beginning date. Final confirmation emails are sent 3-4 weeks before the training. Please coordinate with your ATR for "By Invitation" courses. Click the links to view the descriptions of the FTI courses. View iFTI's printable training calendar (updated as of 04.01.19). Can't find your preferred iFTI course or training date? Submit a Course Request. Under comments, specify the preferred training date and list of participants (minimum of 5). Programs of Study - List of all Course Codes and Course Names in the LMS. 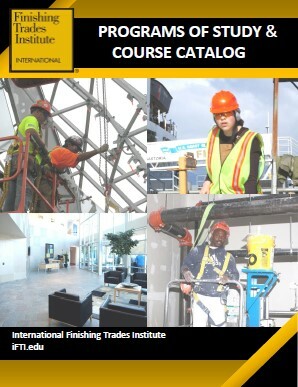 iFTI Course Catalog - List of iFTI Classes at the International Finishing Trades Insitute. 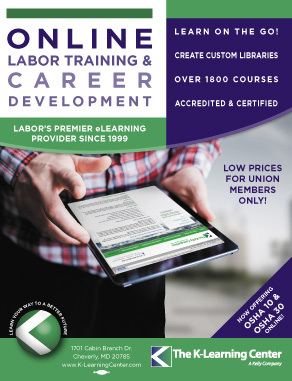 K-Learning Catalog - Browse the vendor catalog to find missing resources or if you need additional courses to address your training centers' need. Can't find the course? Submit a New Course Request. Learn more about the eLearning courses available to you in the iFTI LMS. Learn how you can take online OSHA 10, OSHA 10 Spanish and OSHA 30 in the iFTI LMS. IUPAT 101 - Try a sample eLearning lesson and learn about the IUPAT structure, funds, departments, and programs. iFTI MISSION STATEMENT: To serve and advance the finishing trades industry through the development and dissemination of educational resources, training, and related services that help affiliates to administer, promote and sustain industry-driven programs that support a culture of lifelong learning for professionals in the finishing trades industry. iFTI VISION STATEMENT: The iFTI, as a post-secondary organization, is recognized as the finishing trades industry’s leading-edge resource, known for providing superior and relevant learning activities programs and opportunities to its affiliates.